Now that summer is wrapping up, it is important to remember that with the colder weather, you will need to protect your horse. 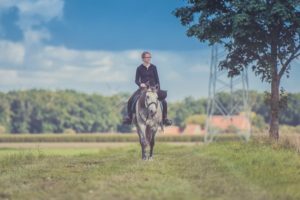 Read on for some important horse health tips! Depending on where you house your horse, you will want to make sure you provide them with adequate shelter. When the weather gets cold and windy, horses will instinctively look for protection against the elements. They will huddle together or find a place to prevent any heat loss. If you keep your horses in a barn, you will want to check thoroughly for any drafty areas. Check your doors, windows, and other areas to make sure there are no significant cracks or holes in them. However, it is also important to remember you want good air circulation in the barn for your horses to breathe properly. This is important because if there is bad ventilation, your horses could develop respiratory problems and other health issues. On the outside of the barn or storage space where you keep your horses, you will want to install or repair gutters to redirect the flow of any melting snow and other precipitation. You will also want to make the barn as warm as possible by using additional bedding materials or insulation. If you are interested in high quality horse insurance to protect your horses, trust in Ark Agency! To learn more about our insurance plans, give us a call today at (320)243-7250 or at (800)328-8894.